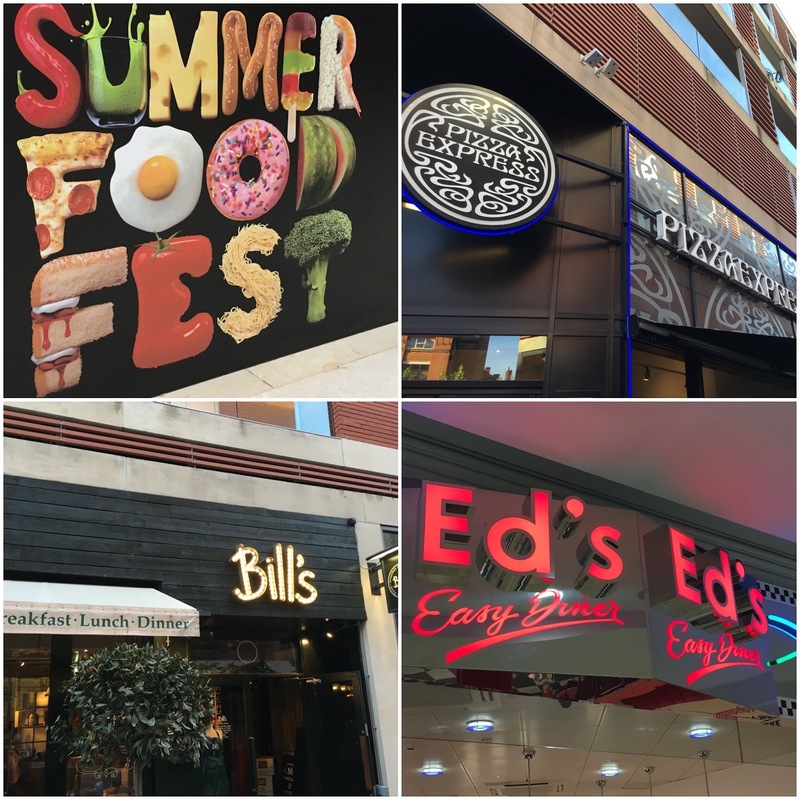 The Summer Food Fest hit Leicester this week offering discounts, demos and samples in the Highcross shopping centre. I was kindly invited down on Monday evening with a small group of local bloggers to celebrate the festival. We were in for a treat, and kick started our dining with starters at Pizza express. We had a mouthwatering selection for us all to share over chit chat. Bruschetta, deep fried calamari, antipasto and their famous dough balls dripping with garlic butter! 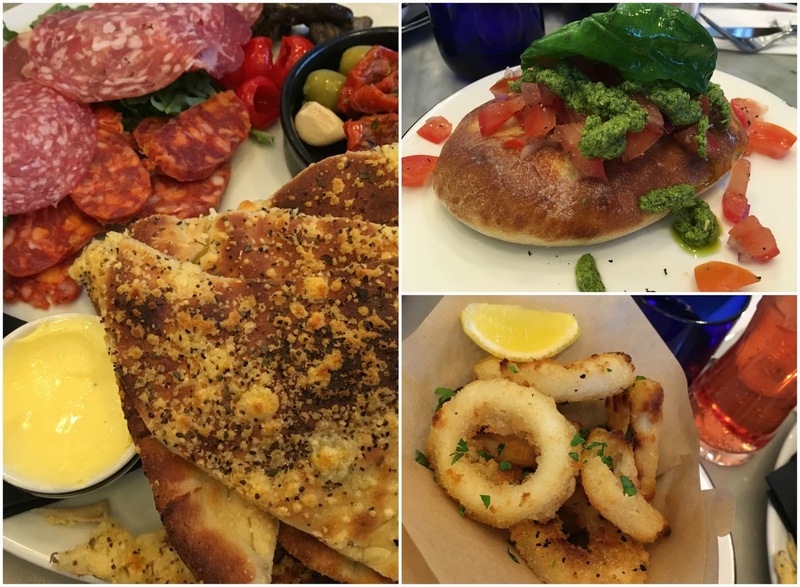 The food was really vibrant and fresh and Pizza Express is my go to place when a pizza is on the cards. Before we knew it we had to move on to Bill's for our main course. 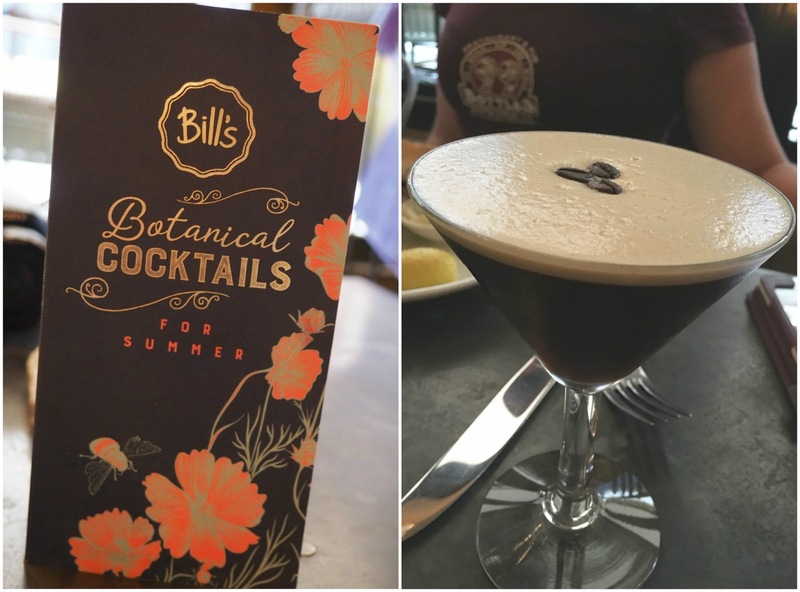 I've only been to Bill''s once so was excited to be going back and if you haven't been it's a total instagrammers delight! We had such a warm welcome from the team at Bill's who were eager to tell us about our main. Their Fish Finger sandwich. 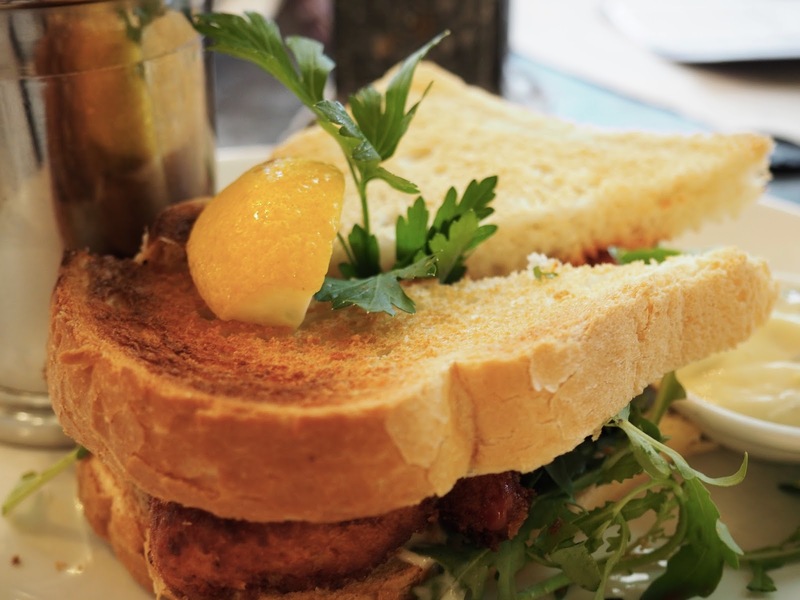 Not just any old fish finger sandwich, but a posh one. Deliciously fresh fish, ketchup and rocket salad sandwiched between toasted farmhouse bread with a side of skin-on fries and tartar sauce. Right. Up. My. Street. I was sad to have to move on from Bill's, I love it there and would have been happy to spend a little longer lingering, chatting, and trying to squeeze in just one more chip! The staff are super friendly so you really must go pay them a visit. For our dessert we were off to Ed's Easy diner. 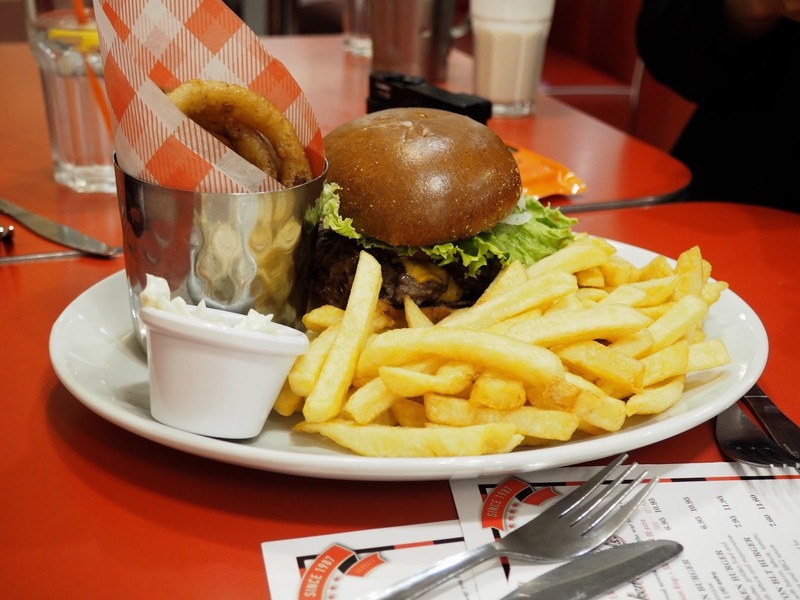 A classic American diner with booths and stools, counter top juke boxes and an open kitchen. Despite passing it a million times whilst out shopping this was my first visit. There seemed to have been a bit of a mis-understanding and rather than just preparing us a yummy milkshake for our dessert they told us we had the Bubba's bacon and cheese burger to go WITH our milkshake. You should have seen our faces, they must have been a picture. It was so kind of them but there was no way on this earth we could have eaten another thing! SO, after explaining they bagged the burgers up for us to take away. Let's talk about the milkshake. 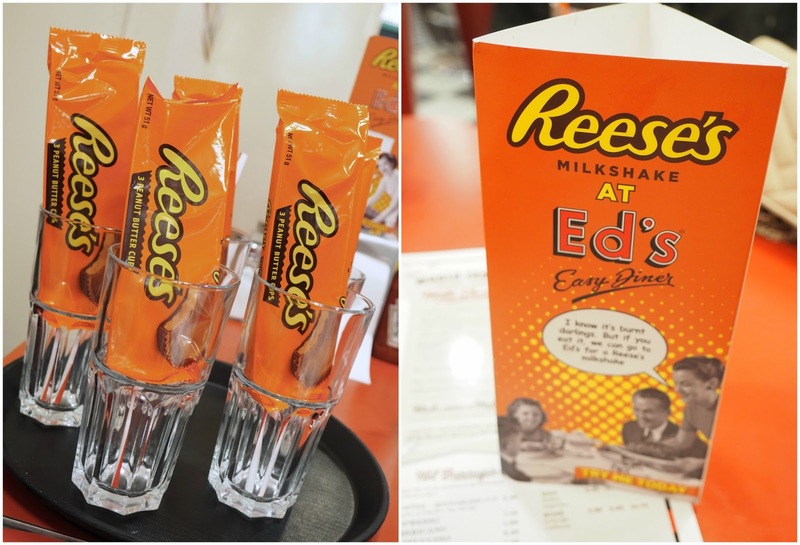 The girls had told me about the 'to die for' Reese's peanut butter milkshakes and hyped them up good and proper. They had every right to. OH. MY. GOD. BLOODY AMAZING. I died right there and went to heaven! 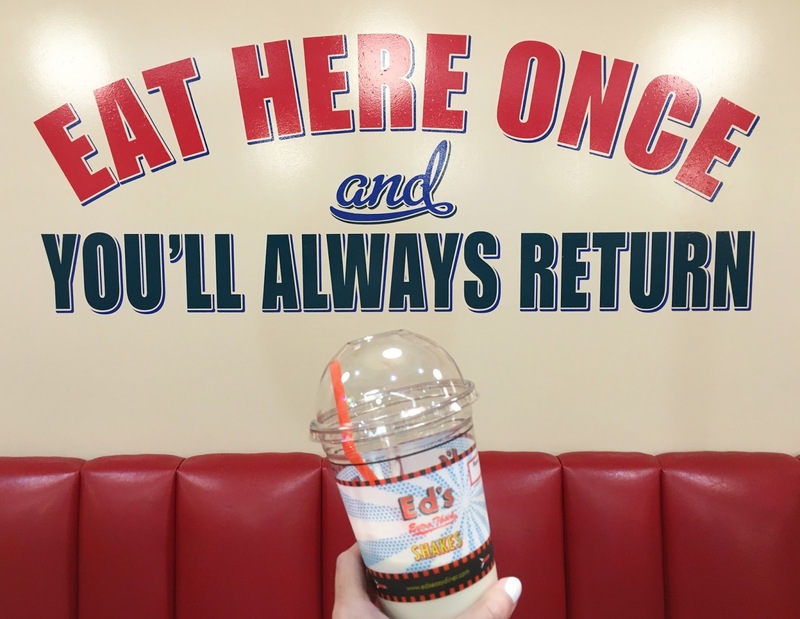 There is no doubt about it, I will be going back for another milkshake (and food of course). 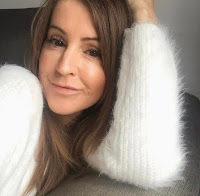 In one of my other posts for Highcross (read it here) I told you about the Highcross PLUS app. 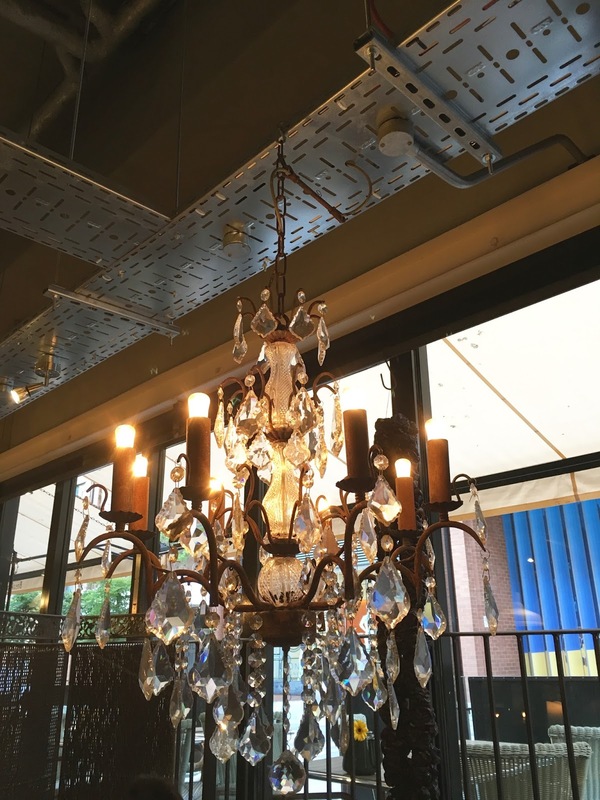 It's recently been re-vamped and it has exclusive offers, VIP invitations, competitions and much more. If you download it you can keep up to date with everything that's going on in the centre. A big thank you to Highcross for inviting me, and also to Pizza Express, Bill's and Ed's for the most delicious food. I could not move for the rest of the night!! !